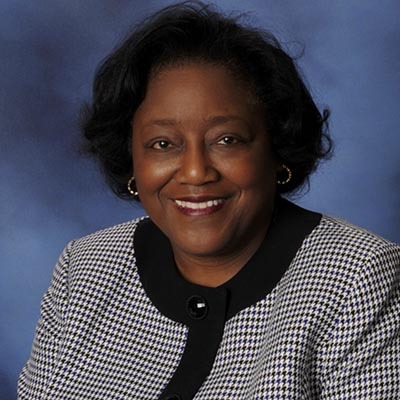 Wanda Cook-Robinson is superintendent of Oakland Schools intermediate school district. We all want our students to succeed. Teachers, tutors, resource centers and even homework are all geared to helping students learn. One thing that often goes missing, however, is more basic than any piece of curriculum – breakfast. Studies have repeatedly shown that a student who goes to school hungry is at an immediate disadvantage because it is difficult for him or her to concentrate and learn when their basic needs are not being met. Tight budgets for low-income families and busy morning schedules can mean that many students arrive at school hungry and not ready to learn. Oakland County is Better with Breakfast is a groundbreaking public/non-profit collaboration between the Oakland County Board of Commissioners, Oakland Schools and the United Way for Southeastern Michigan with the goal of expanding free breakfast to students in eligible schools across Oakland County. Our model for addressing the underutilization of federal school breakfast funding is unique to both the state and the country. The Better with Breakfast program was developed to improve academic outcomes by starting with something as simple, yet fundamental, as breakfast. And if you think this problem doesn’t exist in Oakland County, think again. Did you know only 43 percent of Oakland County students who receive a free or reduced lunch are also accessing breakfast? That means as many as 7,300 students in Oakland County alone struggle with hunger. Oakland Schools is proud to partner with Oakland County leadership and United Way for Southeastern Michigan, to promote and support this important initiative. School breakfast fights hunger, improves nutrition, and empowers children to learn. Too many children in Michigan are missing out on school breakfast. Federal and state agencies, school districts, educators, and advocates must continue to build on the momentum school breakfast has gained in recent years to ensure that more low-income children start the school day with a healthy meal. By providing students with easier access to breakfast, we are eliminating a huge barrier to student achievement. Not disagreeing with the part about eating something at the beginning of the day. Big disagreement about whom should pay for it. If you bring children into the world, the very least you can do is to properly provide for them. Same old tired arguments. Never any solutions. Here's another tired old argument I've repeated many times: lack of one's own good idea is not sufficient justification to recommend adoption of someone else's bad one. So feeding children breakfast, so they have the ability to learn is a bad idea? Is that what I am understanding? The state o f MI abandoned the poor many years ago and created systems intentionally disadvantageous to racial minorities and poor, and you want to deny children breakfast. I sit with mothers trying to figure out how to make ends meet, many of whom are working 2-3 jobs just to get by. The biases of so many of you who post here is so apparent. Have you or any of your family had to struggle this way? If you are white, you have always had an advantage, no matter what. Until some compassion and collaboration returns to Michigan, it will continue to decline. I for one will continue to fight for the common good, and breakfast for children is a good idea, because the educational outcomes improve. Selfishness and "what about me" is a sad and pathetic way to make decisions. Let's make it readily available and affordable, and talk about it in health class. What an incredibly heartless comment. The children didn't ask to be brought into the world, nor is it their fault they're hungry. If providing breakfast helps them learn, it's money well spent. Emotions do not negate one irrefutable fact; it is not, nor ever has been, the function of government to pay for someone else's breakfast, lunch or dinner. This, along with a multitude of others items that people feel are "money well spent". If anyone feels that way, there is absolutely nothing stopping them from opening up their own wallet or checkbook and giving as much as they feel is "money well spent". It is this line of thinking that politicians absolutely love to latch onto to buy votes. When government has created systems intentionally discriminatory, then reparations are needed. I am just wondering Kevin, what you see as your place in society and the "common good". Your judgemental and merciless approach to life must be a burden at times, I would think. The only thing important to republican politicians is how they can steal votes. I don't think you have been paying attention Kevin. Gerrymandering, voter suppression, creating systems that intentionally favor the rich and make the vulnerable more vulnerable. I just wish you would look at your biases and do some self reflection. The reality is that one person suffering in MI affects us all. Compassion, collaboration, dialogue are the only solutions to move forward. Serving others may be a good start for you. The American Red Cross is always looking for volunteers. This may wake you up to the reality of so many people in Southeast Michigan who need help. Sorry, Bernadette, but the "From each according to their ability, to each according to their need" line of thinking just doesn't work. Going through your treatise only reinforces where your philosophy lies. Those solutions never worked nor ever will. And it's not as if they haven't been tried elsewhere and multiple times. OABTW, I prefer working with the Salvation Army over the American Red Cross. Kevin is right. How many more union activists and civil rights leaders does the CIA have to kill before we realize that socialism is bad? Thank you for this "solution". This is "collaboration" between private and public sectors. This obviously took dialogue and a willingness to work across the aisle. THESE ARE CHILDREN who deserve to eat, because Michiganders care about CHILDREN. Some commenters on this site will "yell about who is paying for this", and come up with their same "tired", Blah, Blah, Blah comments. Focus on solutions, or MI will continue to deteriorate until we rank last in all areas instead of just some areas. I live in a rural area and the kids, ALL of them are given a free breakfast and a snack. I'm all for feeding kids breakfast, lunch and dinner and take food stamps out of the system. The amount of junk food purchased with food stamps is incredible. The WIC system could be expanded to provide milk, cheese, juice and peanut butter for the kids when at home. Why does Ms. Cook-Robinson assume that all 67% of the students who don't access free or reduced price breakfasts as well as lunches are "struggling with hunger"? Cheap, nutritious and filling breakfast foods are covered by SNAP, widely available in stores, and most kids past 1st or 2nd grade can prepare them for themselves and younger siblings if coached. We should not assume that parents are not providing something for their kids to start the day in the absence of evidence. On the other hand, why do so few students who are eligible for free or reduced-cost breakfasts actually get them? Is it that school districts aren't serving breakfast to anyone? Is it a problem with transportation related to the timing of the breakfast being served? Could it be that school districts where breakfast is served have ended up with "money saving" bus schedules that force the choice between students missing instructional time (which is illegal), eating during class (which is messy and can be disruptive) or missing breakfast altogether? I have read of multiple school districts (and more than one child care center) that simply provides breakfast to every student who wants it, making sure to schedule the breakfast so that the busses and walkers can arrive and the school has opened to all students by the time the food is served. Feeding hungry children is good, but we need to offer breakfast to poor children at times and in ways that let them eat that breakfast without missing class time. When even simple ideas like this create push-back and snarky remarks, how are we to ever start thinking about the real reforms to a systems design that consistently produces the same results? Feed them? Yes. And then give them the instruction they need at their level for as long as needed for deep understanding. No more one-size-fits-all instruction that damages so many kids, especially kids who are poor. I’d love to understand the historic correlation between collective bargaining and student performance in public schools...as in union-wage families and kids in schools. I think this is wonderful. Frankly even the kids who have parents that can afford to pay for their child's breakfasts could academically be a wonderful thing. Many children get up easily but many don't either. If all they had to do was dress and brush their teeth and comb their hair it wouldn't take nearly as long or be as hectic for working parents.